Two prominent names in Boston’s startup world are joining forces—and shacking up together. Startup accelerator MassChallenge has acquired Start Tank, a Boston-based incubator run by PayPal, which provided select startups with space at its downtown Boston office. MassChallenge and Start Tank announced the deal this week. They’ve called it an acquisition, but reportedly no cash is being exchanged. As part of the deal, the startups in Start Tank’s current class will move into MassChallenge’s office, the mentors will become MassChallenge mentors, and MassChallenge will take over Start Tank’s programming and events. The bigger impact of the deal could come down the road, as Start Tank and MassChallenge companies “will be unified” and work out of MassChallenge’s Boston headquarters, Start Tank co-founder David Chang said. Chang also will become an adviser to MassChallenge. He recently departed PayPal, where he helped run the Boston office after PayPal’s parent company eBay bought his mobile advertising startup, Where, for $135 million in 2011. Start Tank Boston hosted nearly 200 people from 49 startups, Chang wrote, and those companies went on to raise more than $40 million in venture and seed capital during the past two years. PayPal also expanded Start Tank internationally, with offices in London and Chennai, India. Those two programs will not be affected and have been separated from the Boston program. MassChallenge and Start Tank have had a connection throughout their existence. Start Tank has hosted many MassChallenge startups after their graduation, and many early stage startups working out of Start Tank have applied to the accelerator. MassChallenge currently is reviewing applicants for its Boston program and said more than 1,600 companies are trying to get in. Selectors will pick 128 startups that will begin work in June. When the 800 startups applying for MassChallenge UK are added in, companies from 67 companies are trying to join the accelerator, which itself is trying to expand to 10 new cities by 2019. 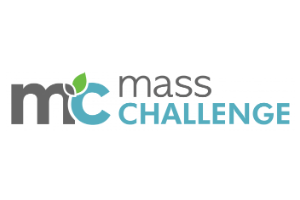 MassChallenge is a nonprofit funded by corporate, public, and foundation partners that awards non-dilutive grants to its companies. To date, 617 companies have gone through it, and MassChallenge said in total they’ve raised more than $706 million, generated $404 million in revenue, and created 4,800 jobs.